Leaders Panel: Are Australian boards up to the task? At their best, company boards shape corporate culture, ensure good governance and are accountable for the organisation's well-being. But Australia's boards have been accused of club-like behaviour, of lacking a social conscience and most recently in the Hayne Royal commission into banking, of outright negligence and even abuse of power. How has corporate governance in this country gone so wrong? To take a hard look at Australian boards and their relationship with management, Graeme Samuel, A.C will chair the discussion among leader panellists. Monash Business School’s Leaders Panels are creating communities of knowledge. They offer the opportunity to join discussions about issues of national importance, which merit public discussion and debate. We invite people at all stages of their professional journey, from students and educators, to alumni and industry partners, to join us. Hear from powerful thinkers and prominent members of the Monash Business Advisory Board, as they shape a debate and open discussion with an audience Q&A. Registration closes Thursday 2 May 2019. A well-known public administrator and regulator, Graeme has held a number of high-profile roles including Chairman of the Australian Competition and Consumer Commission, Associate Member of the Australian Communications and Media Authority and President of the National Competition Council. He was a member of the APRA Panel to conduct a Prudential Inquiry into the culture, governance and accountability of Commonwealth Bank of Australia and is currently chair of the panel conducting a Capability Review of APRA. 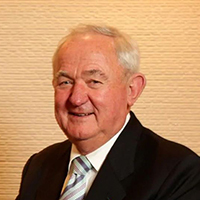 Don Argus AC is an Australian businessman, Chairman of Bank of America Merrill Lynch Australia Advisory Board and Member of the Bank of America Global Advisory Council. 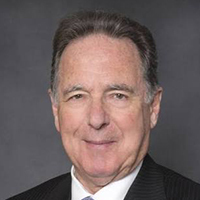 He is the former Chairman of BHP Billiton (1999-2010) and Brambles (1999-2008), former Director of the Australian Foundation Investment Company (1999-2013) and former CEO of National Australia Bank (1991-1999). He is a member of Monash Business School’s Business Advisory Board. Chair since May 2016. Previously, Karen was a Partner at Mercer and Global Head of Infrastructure. Before joining Mercer, Karen was a Partner at Access Capital Advisers and the CEO of Access Economics. Karen has held directorships on several Australian infrastructure company boards. 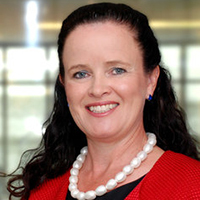 Before moving to the private sector, Karen held senior economic policy roles in the Australian Treasury and the Department of Prime Minister and Cabinet. Sally Lead Partner for KPMG’s risk and board advisory service line and represents KPMG Australia in the ASPAC region for board advisory. 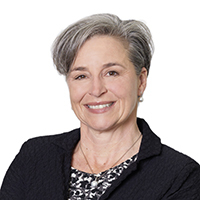 For over 10 years she has provided board advisory and risk services to board and executive groups across many industries including government, mining, health, financial services, pharmaceutical and water. A board member herself on a number of not-for-profit organisations, she works alongside government and listed Boards delivering risk and board advisory services. 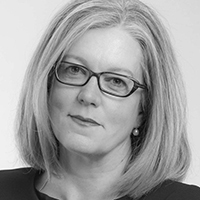 Lisa Gay is a non-executive director of Computershare Limited, Koda Capital and the Victorian Funds Management Corporation. She is also a Trustee of the National Gallery of Victoria. She was formerly Chair of ASIC’s Markets Disciplinary Panel, Chair of Voyages Indigenous Tourism Australia, Deputy Chair of the Indigenous Land Corporation and a non-executive director of National Indigenous Pastoral Services. From 1990 to 2010 Lisa was General Counsel and Managing Director of the Goldman Sachs Group Australia and its predecessor JBWere and Son.